Adrian Blincoe has been officially selected for his second Olympic Games and will run the 5000 meters in London. 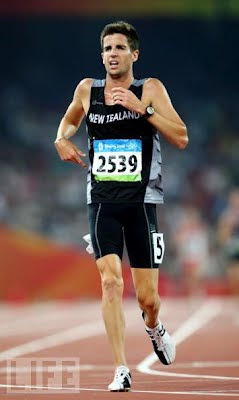 Blincoe, who holds the New Zealand national 5000 meter record of 13:10.19, met the New Zealand Olympic Committee selection standard (i.e., the Olympic "A" standard) of 13:20 in July 2011, running 13:18.27 in Barcelona. He was not named in March's initial team selection, pending proof of his current form. With the US season now underway and a strong time of 13:23.27 recorded in California last week, the selectors are satisfied with Blincoe's fitness. Blincoe represented New Zealand at the Beijing Olympics in 2008, Melbourne Commonwealth Games in 2006, and the Delhi Commonwealth Games in 2010. He was a world outdoor championships semi-finalist in the 1500 meters in both 2003 and 2005. 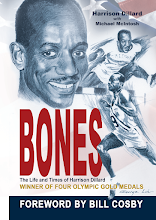 He has personal bests of 3:35.50 in the 1500 meters, 3:54.40 in the mile, 7:46.40 in the 3000 meters, and 13:10.19 in the 5000 meters. While competing for Villanova, Blincoe won both individual (3000 meters) and relay NCAA titles (anchoring two DMR champions) and was a 7-time All-American. He has served as an assistant coach at Villanova since 2003. His selection brings the New Zealand Olympic athletics team to six with further selections expected.